Insurance commercials are on nearly every channel at nearly every hour of the day. These companies never take a break from advertising what they consider their best features to you in hopes of garnering more of your business. Of course, the discounts and special benefits they promote are always more than they first seem. Sometimes, there are strict requirements to qualify for a benefit. Other times the feature comes at a high cost or is perhaps available from other insurance companies, too. In this two-part post, we will break down the details behind some of America’s most popular insurance features and explain what they really mean for you. We’ll begin by talking about a feature that is currently being advertised by Liberty Mutual and other insurance companies. 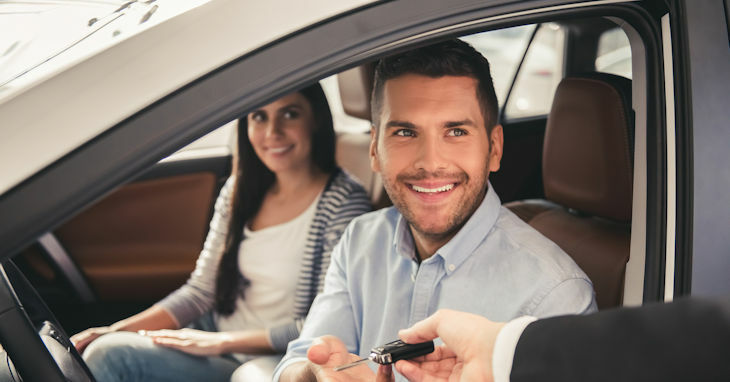 It’s often referred to as New Car Replacement coverage, and it is designed to replace your totaled vehicle with another one of the same year, make, and model. While this may seem redundant considering car insurance already protects your car against collision damages, new car replacement takes it a step further. With traditional insurance, you only get a settlement for the actual cash value of your vehicle. With new car replacement, you get a check for the full cost of replacing your vehicle instead. This coverage comes at an additional cost and varies slightly from insurer to insurer. Some offer it for new cars only, while others offer it for used cars, too. Some may also limit replacement coverage to a few years. Talk to an agent here at Noah Insurance to find out if new car replacement could benefit you. The Safe Driving Bonus Check is one of the better known insurance features on the market today. Most people know right away that Allstate offers this benefit to drivers who remain accident-free for six months. Often, commercials spotlight drivers practicing safe habits and talking about what they will buy with their bonus check, such as a new golf club. However, many details and stipulations surround this benefit. To start, drivers must pay extra to enroll in the Your Choice Auto Program to qualify for a bonus check. Generally, only ‘preferred,’ low-risk drivers can qualify for enrollment in this program. Next, drivers only get the check at the end of the policy if they remain accident-free. Finally, the Safe Driving Bonus Check is limited to only five percent of the premium paid during the previous policy period. That’s about $27 for a $540 policy. While safety deserves acknowledgment, you shouldn’t have to jump through hoops to get it. Several insurance companies offer save driving benefits, from discounts on premiums to premiums and deductibles that gradually diminish over time. Talk to an agent here at Noah Insurance to find out which safe driving benefits may be right for you. The Discount Double-Check is not really a feature, but rather the name of a service provided by State Farm. The commercials make it seem like State Farm is doing something special by finding overlooked savings in your policies, but all they are really doing is scanning your policies for available discounts you may qualify for from their own company – something any agent probably should be doing anyway. Of course, State Farm agents can only look for discounts from their own company. When you use an independent agent at Noah Insurance instead, we can scour and compare discounts from multiple insurers to find discounts that will net you the greatest savings on your coverage. We’ll leave off part one of this post by addressing the Name Your Price Tool from Progressive. Although the commercials are cute and the premise surrounding the ‘tool’ sounds great, it can actually do more harm than good. Using this tool sets drivers up to under-insure themselves by showing how reducing or eliminating certain types of coverage can lower premiums. What happens if you face a $250,000 bodily injury liability judgment but only have $50,000 of coverage? You may have saved a few dollars on your premiums, but now you face a life-changing financial consequence. Instead of jeopardizing the quality of your coverage by tinkering with your policy, always work with an independent agent instead. Come back next month when we will continue with Advertised Insurance Features.